This post is long overdue, many of you know that majority of the bags or should I say clutches I style in my posts, are designed by none other than my talented sister, Cortnie. It took her about a week to learn and now she has created an entire brand! I highly recommend you visit her Etsy shop (here) and check out all she has to offer! Looking for something that's not listed? Email her, like I said she can pretty much create anything! I wanted to share some of my fave clutches with you from previous or upcoming posts via Instagram (@ashleighncole). 'Haute Pink' clutch. Shop it here. Check out the rest of this post here. 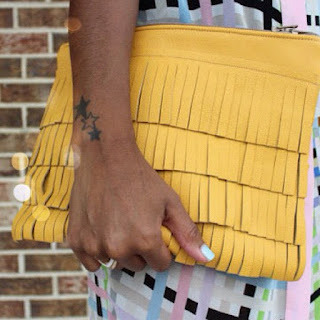 'Fringes' clutch. Shop it here. Sneak peek of upcoming post. 'Cotton Candy' clutch. Shop it here. 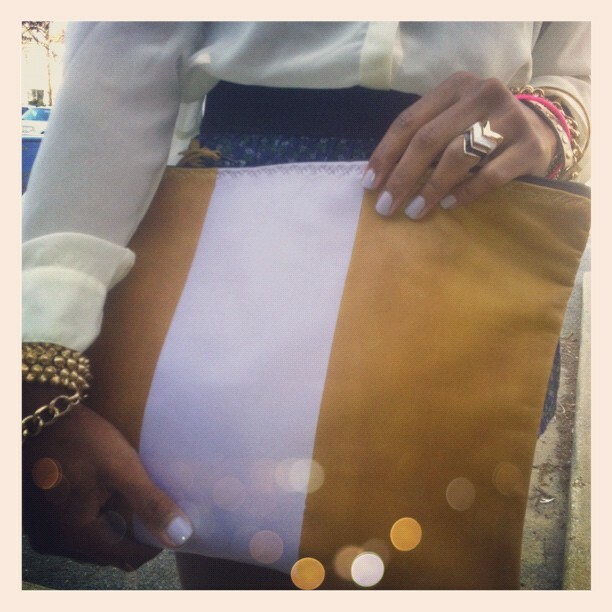 'Fool's Gold' clutch. Shop it here. Customize the color strip. Check your options here. 'Crayola Tweed' clutch. Shop it here. These clutches are fabulous. That's so great she learned how to do that within a week...that would take me more like a month. They're all lovely and I love the support you're giving your sister! These are all pretty awesome. I need to check her etsy out! Love them all! She is very talented! Really like the tweed clutch! the leopard shoes and the button clutch are fantastic! Thanks for the lovely comment on our blog! I love these bags, each one is so creative and exciting! My DIY is just twitching with all these styles! Cant wait to see more of your creative posts! Fabulous clutches and must say that your sis is super-talented! 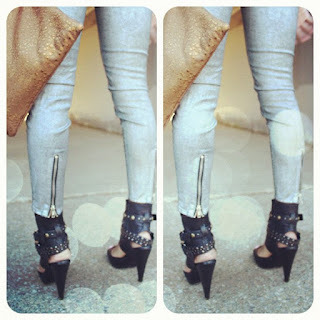 Great post, your sister's clutches are amazing! I need to do a post about my sister's jewelry line Vintage Brook also available on Etsy. I gave her a shoutout in my post today. those clutches are so FAB! You sister makes some beautiful clutches!!! Very cool! I love the fools gold and gold/white striped ones! She is really talented! Congrats to her and lucky you! Loves. Thanks for this post girlie! just stopped by your etsy shop and i am obsessing over so many of your cute clutches! love them! MMM LOVELY PICS:)I really like your blog and I will happily follow. you have a gorgeous collection of clutches...i love the yellow one!! You sister is super talented - I love all of her designs! whoa, those clutches are seriously cute! all the better that they were made by your sister. i'd love to have such amazing bags on hand like that! Her work is SUPER cute. Hey, you're wearing my heels!